iPhones are lost and stolen every day, but luckily Apple has robust tools built into iOS that will keep your data safe and your device unusable if it's misplaced or snatched by a thief. 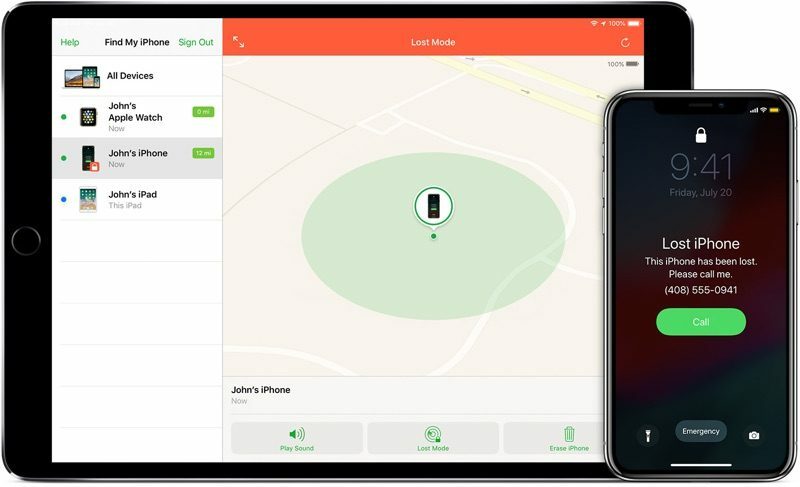 With Find My iPhone, you can locate lost devices, disable them, and even fully erase them, but unless you've been in a situation where you've needed these services, you may not know exactly how they work, what they do, or what information someone can access when they have your device. This guide covers the ins and outs of losing your iPhone (or iPad), including settings that should be enabled beforehand for security purposes, how to use Apple's tools to look for your device, and what happens when it's in someone else's hands. To cut down on iPhone theft, Apple implemented a tool way back in iOS 7 called Activation Lock that renders an iPhone unusable without the owner's Apple ID or password. What that means is even when a thief or a third-party has your iPhone, it's still tied to your Apple ID and can't be used with any other account. Your iPhone can even be wiped completely and it will still be locked down, making it almost useless to anyone but you. Activation Lock, available on devices running iOS 7 or later, is tied to Find My iPhone. When Find My iPhone is turned on, Activation Lock is on. 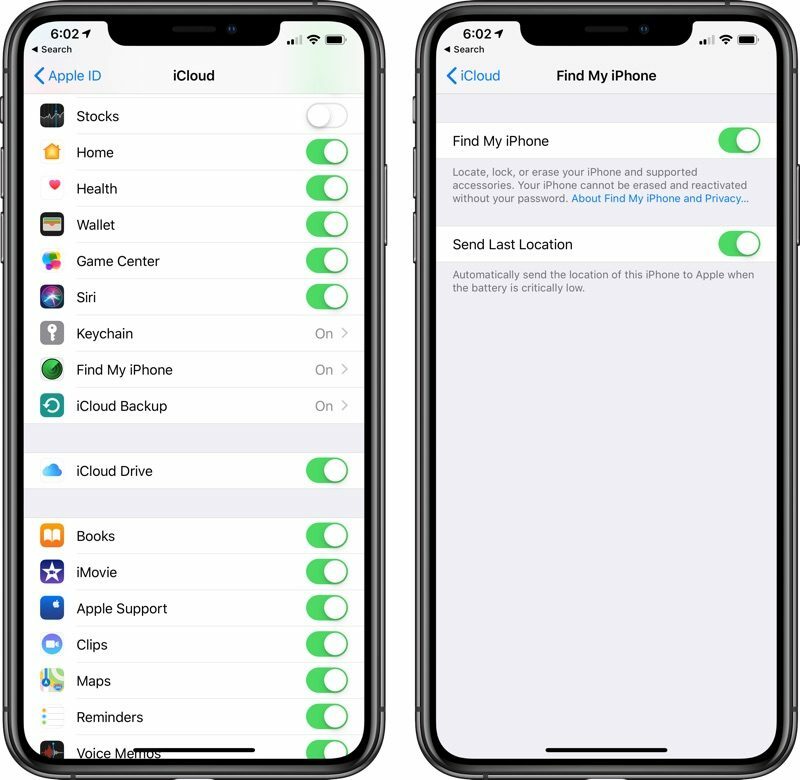 When setting up a new device, Find My iPhone is automatically enabled, but you can check to make sure it's turned on by following the below steps. Make sure Find My iPhone is toggled to the on position (in green). At this screen, enable "Send Last Location" for extra security. If your battery is critically low, it'll send its last known location to Apple. If your iPhone is lost and your battery dies, this is a feature you'll want to have. 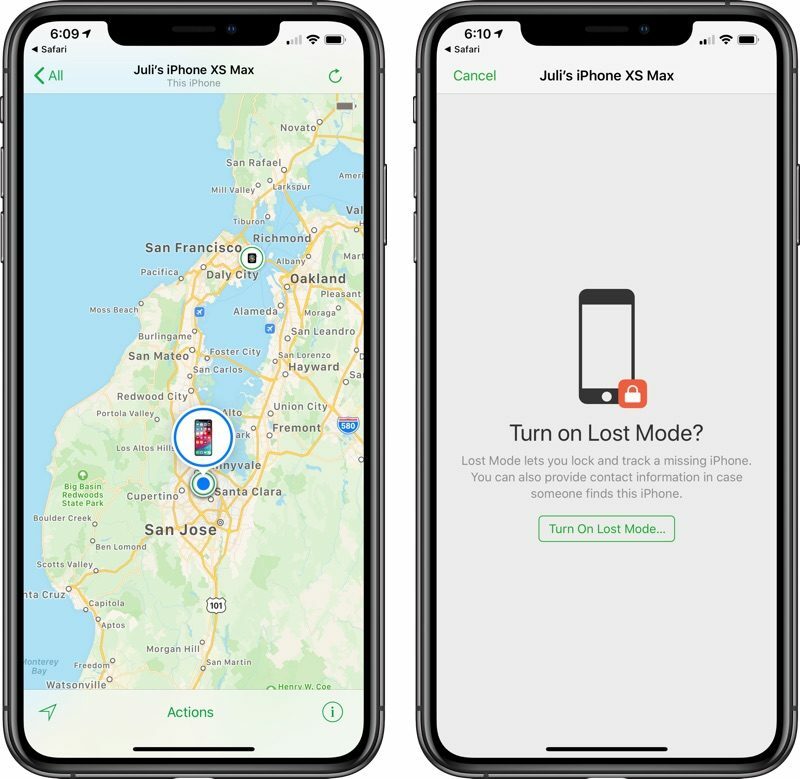 In addition to inextricably linking your Apple ID to your iPhone, Find My iPhone also lets you locate your devices at any time, remotely erase them, and remotely put them into a "Lost Mode" to lock down your data. 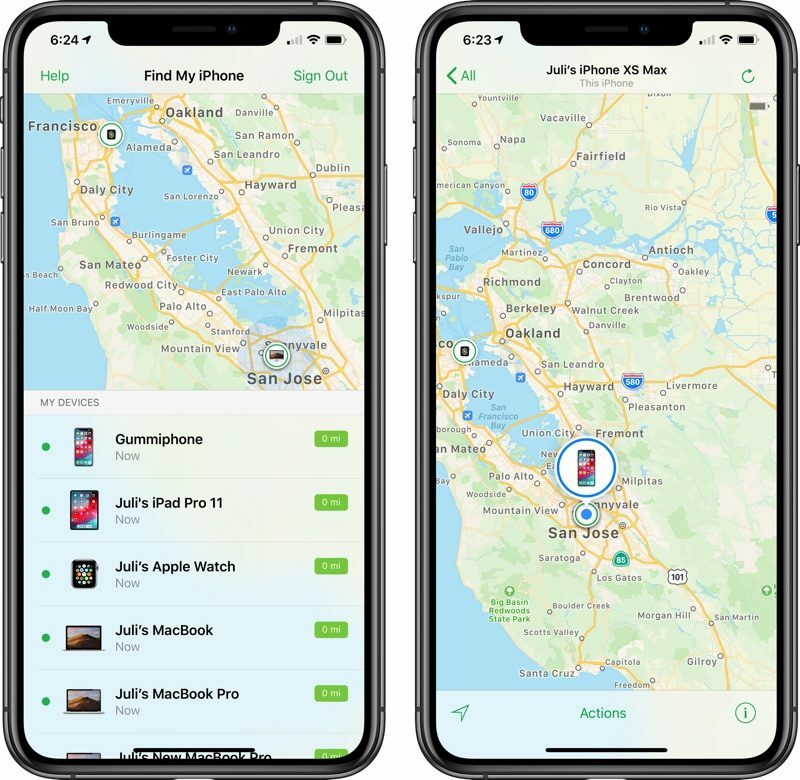 Find My iPhone is the most important feature to have turned on in the event a device is lost, but there are other key security options -- a passcode and two-factor authentication. With a passcode, no one can access personal data stored on your iPhone, and with two-factor authentication, your Apple ID will be safer from hacking attempts, something a thief or person with malicious intent might try to get access to a stolen device. 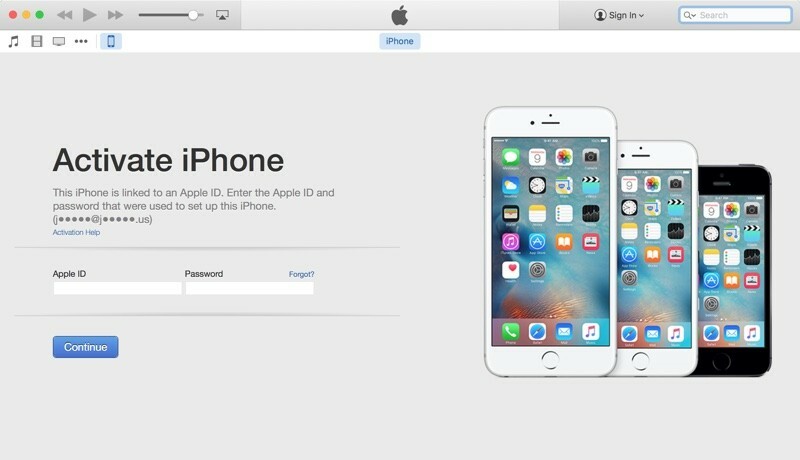 Two-factor authentication will require an extra verification code to be entered before your Apple ID and iCloud account can be accessed. Logging into Find My iPhone on another iOS device or through iCloud.com is the first step to take when you can't find your iPhone. 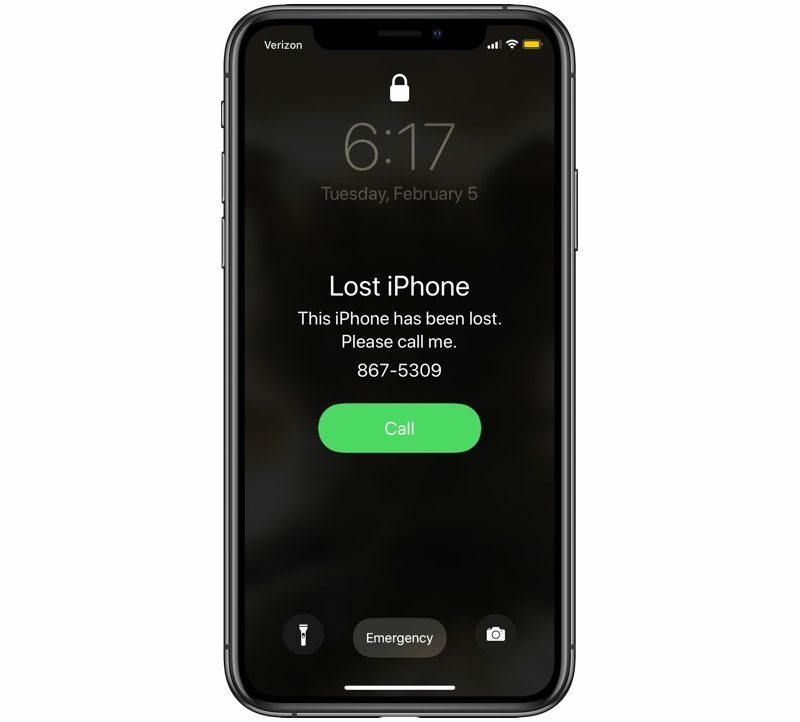 Whether it's been lost or stolen, if it has power and is connected to Wi-Fi or a cellular network, the approximate location of the iPhone will show up on a map. If the iPhone runs out of battery, loses its connection, or is turned off, Find My iPhone will show the last known location for 24 hours. After that, it can't be located again until functionality is restored. Along with establishing a location for a lost device, Find My iPhone can be used to lock that device down through Lost Mode. Lost Mode displays a phone number and a message on the iPhone's screen, leaving everything else inaccessible. 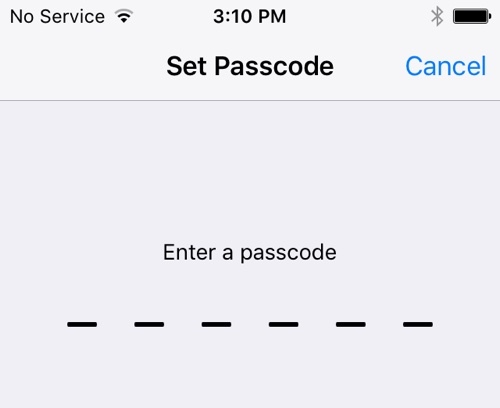 If you didn't have a passcode set up, Lost Mode will prevent your iPhone from being used. Lost Mode can be turned on by following the steps below. Go to iCloud.com or open the Find My iPhone app on another device. Sign in with your Apple ID. On the web, click on "All Devices" and find the missing device in the list. On iOS, scroll down to the missing device and tap it. On the web, a menu will pop up with the option to play a sound, erase the phone, or enable Lost Mode. On the iPhone, tap "Actions" to get to this menu. Choose Lost Mode. If activating Lost Mode on a device without a passcode, you will be prompted to create one. You'll be asked to enter a phone number where you can be contacted. Enter the number or choose "Next" to skip the option. At the next screen, you can write a message that will be displayed on the iPhone, such as an email address or a reward offering. Choose "Done" to activate Lost Mode and then check "Notify if Found." The iPhone is now locked and can only be accessed using the passcode you designated when turning on Lost Mode or the passcode that was already on the device. If it's offline and later located, you will get an email when it connects to the Internet and can convey its location. With Lost Mode activated, the iPhone's screen will display the phone number and the message you set. On a device with a cellular connection, there will also be a "Call" option to call the specified number. Emergency phone numbers are still able to be called as well. Activating Lost Mode immediately disables credit or debit cards associated with Apple Pay, activates Low Power mode for maximum battery life, and renders all features on the iPhone, such as Siri, inaccessible. The two other options in Find My iPhone are "Play Sound" and "Erase iPhone," both of which are straightforward. "Play Sound" causes a loud beeping to occur, which can be turned off by hitting the power button on the iPhone. It's useful for an iPhone that's been misplaced nearby. Erase iPhone will delete all of the data on the iPhone remotely. It should be used as a last resort because erasing the iPhone will make it inaccessible through Find My iPhone. With Activation Lock, a passcode, and Lost Mode, an iPhone is essentially locked down, but erasing data can give peace of mind if you lose a device you don't expect to get back. Lost Mode, Play Sound, and Erase iPhone will only work when the iPhone is turned on and has a cellular or Wi-Fi connection. If it is off or unable to connect to the Internet, these actions will be queued and activated as soon as a connection is available. Lost Mode combined with "Notify if Found" will send you an email when a misplaced iPhone that is offline can connect to the Internet. If your iPhone has been left behind in a restaurant or store and you're not sure where it was misplaced, Find My iPhone gives a close approximation of its location. If it's in an apartment building or other dense urban area, it might not be able to pinpoint the exact spot where it is, but it can get close. 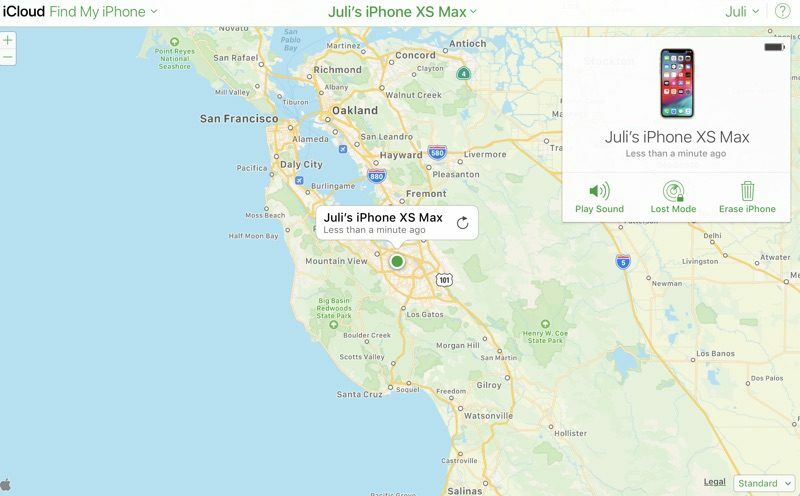 As long as your iPhone is on and has a cellular or Wi-Fi connection, its location will be continually updated in the Find My iPhone app so it's easy to track down. With a phone number and other contact information available through Lost Mode, someone who finds it can easily contact you. 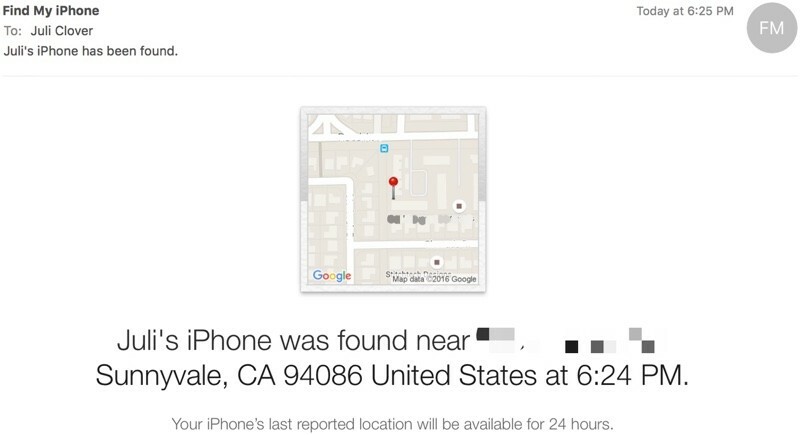 If your iPhone has been stolen, Find My iPhone can help law enforcement ascertain its location. It can be tempting to go to the location of a stolen iPhone on your own, but doing so can be dangerous. When dealing with an unknown criminal element, getting the police involved is the safest move. The four major carriers in the United States, AT&T, Verizon, Sprint, and T-Mobile, have tools for reporting a smartphone as stolen to suspend service and in some cases, block the device from being used on the carrier's network. Suspending cellular service will prevent your iPhone from connecting to a cellular network, making it more difficult to track. It ensures a thief cannot use the device to make phone calls or rack up service charges, but in many cases, those features will be unavailable anyway. What's Accessible on a Lost iPhone? Most people probably don't think about the extent of the information stored on an iPhone until it falls into the wrong hands, but there's a lot of data that's potentially accessible. In the event your iPhone is stolen, there's likely enough detail about you to make you vulnerable to phishing attempts and malicious social engineering. Below is a list of what someone can find out about you and what remains hidden behind a passcode. If you don't have a passcode, your iPhone is an open book. With a passcode on, whatever is available through the lock screen can be used. If you have Notification Center, Control Center, and Siri access enabled, all of those features are available to a stranger. Anything you can access from the lock screen, a stranger can access. Siri can answer personal questions about who the iPhone belongs to and offer up contact information. Asking "Whose iPhone is this?" or "Who am I?" gives a name and a phone number. Apple Music can be turned on, and Siri can be used to make phone calls to contacts based on commands like "Call mom." Siri won't give more detailed contact information like your email address without a fingerprint, apps can't be opened, and settings can't be changed. 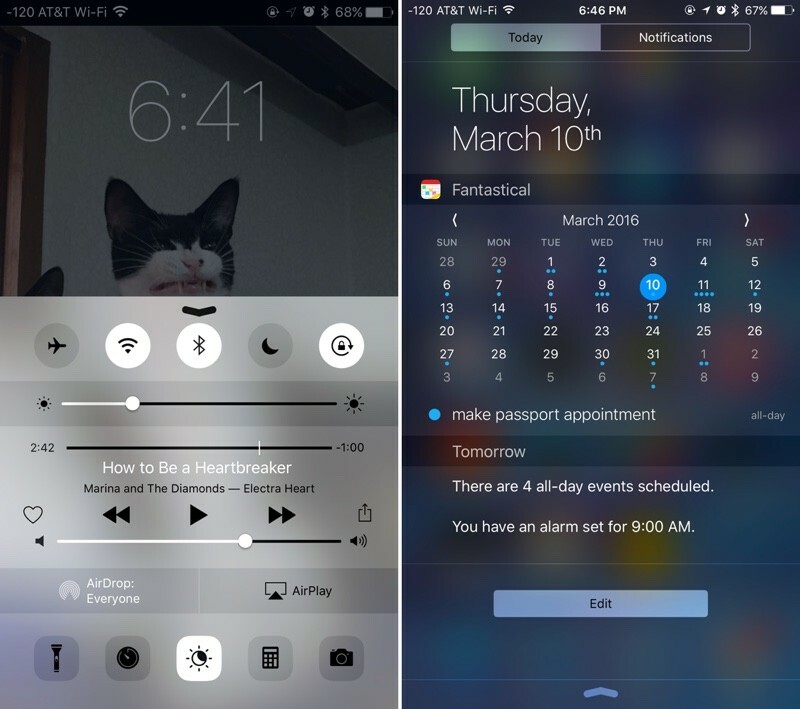 In Control Center, all features are accessible. The flashlight can be turned on, the calculator can be opened, alarms can be set, and the camera can be used. Pictures can be taken, but the Camera Roll can't be opened to display existing images. Notification Center has the most potential to divulge personal information. Depending on what's enabled, previews of emails and messages might be displayed, calendar events are visible, recent Apple Pay transactions are listed, and many third-party apps, like Evernote, will show previews of content in the Today view. On an iPhone with Face ID, some of these previews are disabled by default so you may not need to worry quite as much. 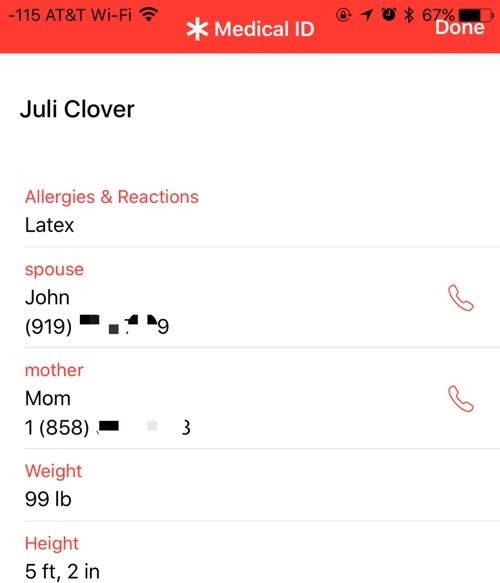 If you have the Medical ID feature set up through the Health app, all of that information is available, including emergency contacts, height, weight, blood type, allergies and health conditions. All of these lock screen features are optional and can be disabled through the Settings app if desired. Activating Lost Mode locks the iPhone down, which is why turning it on right away is imperative. Lost Mode prevents all of the above listed features from being used. Siri is inaccessible, as is the Control Center, the Notification Center, and Medical ID information. All someone can do with your iPhone when it's in lost mode is call you, turn it off, or make an emergency phone call. What Happens When a Lost iPhone is Turned Off? If a thief turns off your iPhone, it's going to be off the grid until the power is turned back on. Similarly, it can't update its location when there is no cellular or Wi-Fi connection available. In the Find My iPhone app, when an iPhone can't be reached, it's listed as offline. For 24 hours, the last known location is available. After that, no information about its location is shared. While a lost iPhone is turned off, it cannot respond to Find My iPhone requests to put it in Lost Mode or wipe it, but as soon as it is powered back on, Lost Mode will be activated. What Happens When a Lost iPhone is Wiped? Lost Mode locks down the iPhone and prevents it from being accessed in iTunes when plugged into a computer, but it can't stop someone from wiping an iPhone via iTunes using recovery mode or DFU mode. Even if your iPhone is fully erased, the person who has it can't use it. Activation Lock stays on and there is no way to bypass it. As soon as the iPhone boots up, it asks for an Apple ID and password and it won't go past the activation screen without the information. A thief can't use your Apple ID after it's wiped, but erasing the iPhone does prevent it from being located using Find My iPhone. Once wiped, the iPhone's location will no longer be updated and you will have 24 hours to note the last known location before it simply can't be found again. Even with an Internet connection, an erased iPhone with Activation Lock on will not send its location to iCloud. In Find My iPhone, an erased device will be listed as "Offline" and information won't be available again until you sign into the device with your Apple ID and password. Your iPhone is essentially useless without your Apple ID and password. Some thieves may make an attempt to get that information through phishing attempts like fake emails or messages, so it's best to be aware of this possibility should your iPhone be stolen. Find my iPhone can no longer be downloaded on devices running iOS 6 or earlier, but older iPhones and iPads that had the app installed prior to the launch of iOS 7 will still be able to use it to locate a lost device. 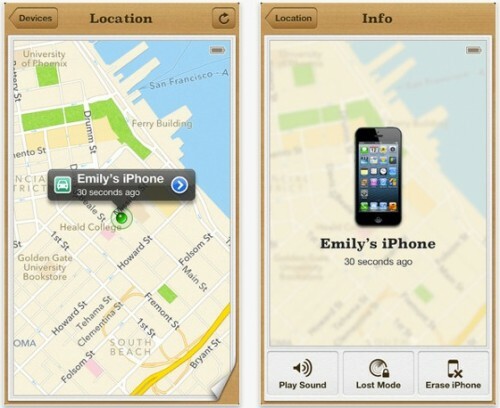 Find My iPhone is available on iOS 5 and iOS 6. Pre-iOS 6 devices do not include Activation Lock, but devices running iOS 6 have access to Lost Mode, which is the operating system where the feature was introduced. Devices running iOS 5 or earlier cannot use Lost Mode, but there is a feature called "Lock" for rendering a device inaccessible. With no Activation Lock feature, an iPhone with iOS 6 or earlier installed can be wiped by a thief and set up as a new device. For that reason, if you have a device that can run the latest version of iOS, it's always better to update. Without Find My iPhone enabled, there is no reliable way to track an iPhone that's been lost as it won't be accessible in iCloud. Not having Find My iPhone installed also means Activation Lock is turned off, meaning a thief can wipe an iPhone and set it up as a new device. thanks for the guide! i lost my iphone twice and found it thanks to find my iphone app! but i still believe the iphone should ask a password for turning the phone off! this way we can track it! Android or anything like that can't be installed. Until there's a way to require a passcode/touchid when going to airplane mode or turning off the phone, this won't stop thieves. Additionally, we need digital SIM cards, as thieves can just pop out the SIM card to prevent the phone from sending its location. Do you know what the most stupid part about this is? 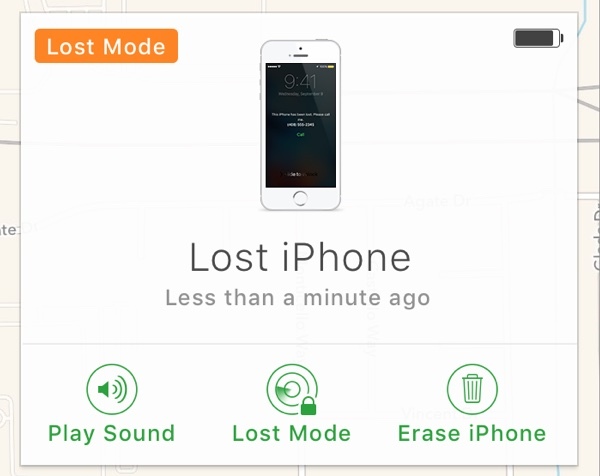 If you activate "Find my iPhone" and your phone turning it into the lost mode, the thief can just shut off your phone and you aren't anymore able to locate it. Congratulations Apple! Pretty much any electric device will basically have that. Or what to do when you drop your white Airpod in the white snow as I did yesterday. Start find my iphone, realize you're not logged in, get 1password, realize 1password is not unlocked with master password since last restart, write long master pass, get password to Apple id, unlock find my iPhone, start emergency sound on Airpods, realize the one not lost is still in my ear, take it out, put in case, then feverishly search the snow at my feet for the sound, and YES! THERE IT IS! Man I was lucky. Standing on a handicap parking too. Those Airpods are slippery buggers! Well none of that looks like anything related to Apple officially. So pretty clearly a phishing attempt. Are you saying that link doesn't take you to icloud.com? Keychain recognised it. While Activation Lock prevents a stolen phone from being useful, it can still be sold for parts. It might well be worth more, if you can sell all of its parts individually, although, I haven’t priced that out. Nice summary of the features. I sent a link out to all my family members (who I am the tech support for). I did find it humorous that the author says that "Play Sound" and "Erase iPhone" are self-explanatory and then explains them :D.
A few months ago my iPhone fell out of my pocket after sitting in a chair at a gym, then it was stolen a few minutes later when I stepped away. I saw it's 'last gasp' ping going down the road (opposite way I drove) on iCloud about 15 minutes later. Security cameras were "just out of view" of the chair. Great. Pretty sure I saw it on Craigslist the next day, seller wouldn't respond, but his listing said he "had to sell it fast because he was going out of state" (so??!!). A few weeks later, I get a call from a lady who thinks she has my phone. Turns out she bought it off a table at a swap meet for $300 in AZ (I'm in CA). The guy had reset it so the screen showed "Welcome to iPhone." Lady didn't verify it was unlocked, which it wasn't, obviously. So her husband connected to their wifi at home during the setup screens and then saw my lost phone message with my wife's cell #. Happy to say it's back in my hands now!!! If we could only find the jerk with her $300 so both she and I can post his picture online and shame his pathetic arse. Morals of the story, turn ON find my iPhone, keep it locked, keep data backed up in real-time, and don't buy a phone without verifying it's not blacklisted! Wow, Juli Clover is a tiny lady! 1. Apple cannot remotely activate the feature. If the feature is not turned on before its lost or stolen, you're out of luck. 2. Apple cannot track your device, even if Find My IPhone is enabled.